Esnard became licensed in biology in 2012. She is an aspiring researcher, and is currently working as a specialist for Environmental Services and Technological Research Centre (Centro de Investigaciones y Servicios Ambientales y Tecnológicos) in the province of Holguin. She is a member of Speleological Society of Cuba (Sociedad Espeleológica de Cuba (SEC)). Her research centres on the networks in biodiversity and the links throughout the ecosystem. 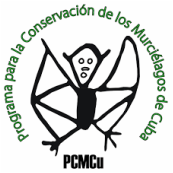 She is the coordinator for Program for Bat Conservation Cuba for the province of Holguin (PCMCu).